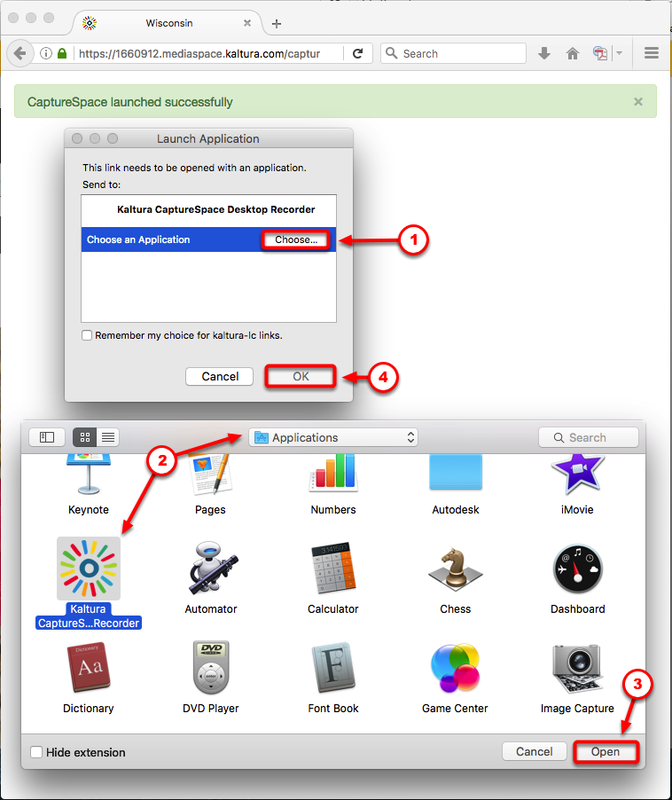 This tutorial will show you how to install the CaptureSpace Lite Desktop Recorder application. You’ll find steps written for installation on a Mac and steps for installation on a PC using Firefox as the browser. The screenshots for other browsers may look different, but are similar enough that you should be able to identify the correct alternative options. When completing this tutorial, please choose the appropriate operating system for your computer. Once you’ve completed this tutorial, you should not need to repeat these steps when creating recorded presentations. The tutorial for creating a screen capture or narrated PowerPoint using the CaptureSpace Lite tool in D2L, can be found here: http://uwmltc.org/?p=13291 and as a link at the end of this tutorial. a student, your instructor has not provided access to the tool and you should contact them for assistance. Select the download option for your operating system. When prompted, click [Save File]. From the [Downloads] menu, click to open the .dmg file. When prompted, drag [Kaltura CaptureSpace Desktop Recorder] to the [Applications] folder. Return to your D2L course site, and click the [CaptureSpace Lite] navigation item again. If you receive a prompt "Are you sure you want to open it?" select [Open]. When CaptureSpace Lite opens for the first time, you may be prompted to select the correct application. If so, click [Choose an Application]. 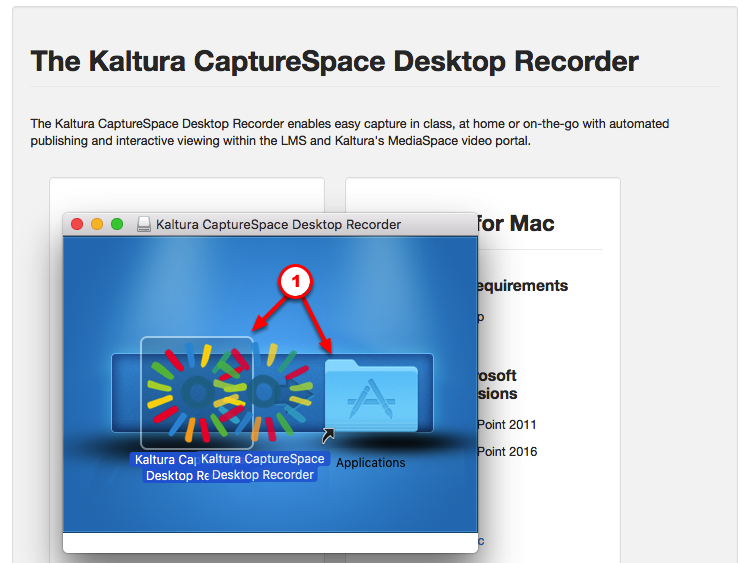 Navigate to the [Applications] folder and select [Kaltura CaptureSpace Desktop Recorder]. Once returned to the "Launch application" screen, click [OK]. 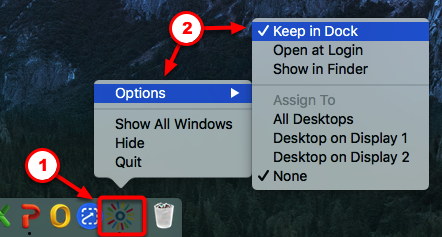 Once open, you can keep the application to your Dock,. 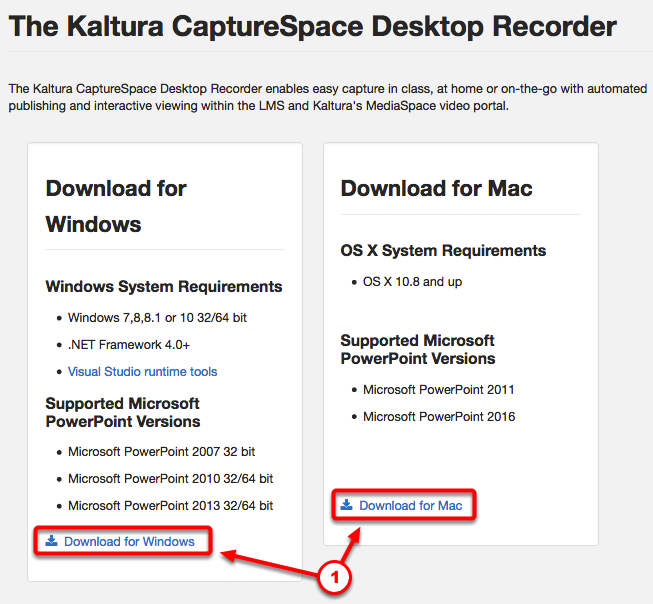 To do this, RIGHT click the icon for Kaltura CaptureSpace Desktop Recorder. Select [Option], and [Keep in Dock]. In future, when you want to create a presentation, you can launch CaptureSpace Lite from your computer rather than logging into D2L to access the tool. From the [Downloads] menu, click to open the .exe file. If you receive a prompt "Please Launch…" select [OK]. Once open, you can pin the application to your Taskbar. 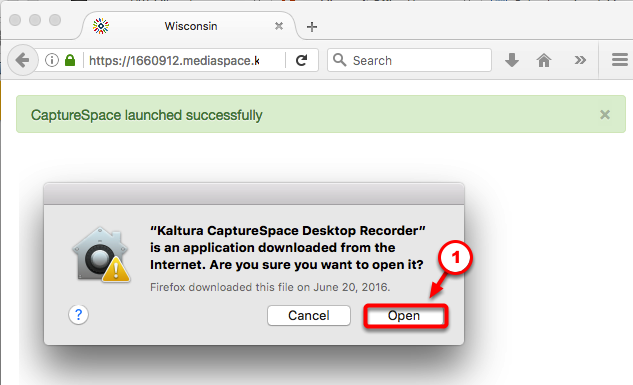 To do this, RIGHT click the icon for Kaltura CaptureSpace Desktop Recorder. 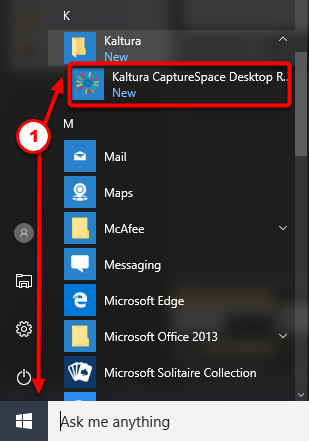 If you wish to launch CaptureSpace Lite from your computer rather than logging into D2L to access the tool, you can also find the Kaltura CaptureSpace Desktop Recorder tool in the Start menu under [Kaltura].